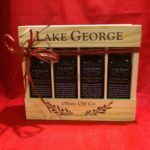 Simply Salads Collection – Lake George Olive Oil Co. This collection includes: 1 60mL Lemon Olive Oil, 1 60mL Basil Olive Oil, 1 60mL Cranberry Pear White Balsamic, 1 60mL Raspberry Balsamic. 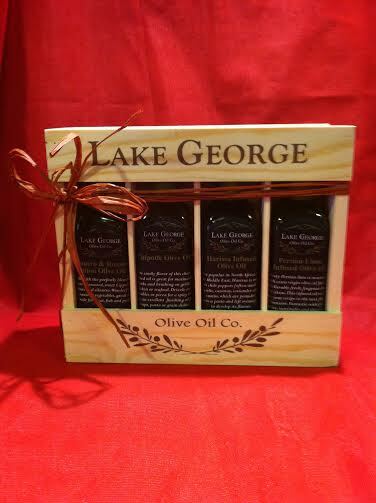 Packaged in a beautiful wooden Lake George Olive Oil box, this collection is a great way to experience the fresh and delightful combinations that make for amazing salads! 2 (375mL) bottle gift set! You Choose the Flavors! 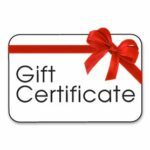 4 (200 mL) bottle gift set! You Choose the Flavors! 4 (60mL) bottle gift set! 4 (375 mL) bottle gift set! You Choose the Flavors! 2 (200mL) bottle gift set! You Choose the Flavors!